Obituary for Ronald A. Talarico | Scala and Roefaro Funeral Home, Inc.
Mr. Ronald A. Talarico age 82, of New Hartford, passed away on Sunday July 1, 2018 at St. Luke’s Hospital with his loving family by his side. 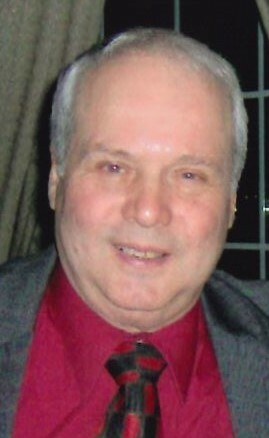 He was born in Utica on May 17, 1936 a son of the late Andrew and Pauline Bomarito Talarico. He was a graduate of T.R. Proctor High School and received his Associate Degree in Auto Mechanics from Morrisville Community College. He served our country in the US Army from 1959-1964. On November 17, 1973 in Mt. Carmel Church, he was united in marriage to Rose N. Chiricosta a loving and blessed union of 44 years. Ron was in the construction business and worked alongside his brother Frank, in the operation of the family business, “Tally Construction Co.” for many years until his retirement. After retirement and in his spare time, Ron also worked with the United Contractors Co. and Hage Carpets. He was also a proud member of the "Proctor Boys." He was a loving and devoted son, husband, father, grandfather, brother and friend, whose life centered around his family. A quiet and humble man, his memory will forever remain with his beloved family. Surviving are his loving and devoted wife Rose, his beloved daughter and son-in-law Gina and Rocco Giruzzi of Utica; his beloved son and daughter-in-law Ronald A. and ChristineTalarico of CT.; his cherished grandsons Giordano, Rocco and Anthony Giruzzi, (Ron was also awaiting the birth of his 4th grandchild); two brothers and a sister-in-law Frank and Carol Talarico of Utica and Andrew Talarico of MD. ; his sisters-in-law and brothers-in-law Maria Chiricosta of Utica, Pasquale and Cathy Chiricosta of Utica and Dominick and Rosanne Chiricosta of CA. and several nieces, nephews, cousins and dear friends. His funeral will be held on Friday at 9:30 a.m. from the Scala & Roefaro Funeral Home Inc. 1122 Culver Ave. and at 10:30 a.m. in St. Anthony/St. Agnes Church. Entombment will be in Holy Trinity Cemetery Mausoleum. Visitation will be held on Thursday from 4:00 to 7:00 p.m. at the funeral home. In lieu of flowers, donations may be made to the National Stroke Assoc. www.stroke.org. The family would like to extend a special Thank You to the staff of the Hickory House at the Sitrin Health Care Center for their care and compassion.